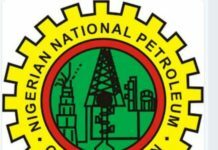 The Nigerian National Petroleum Corporation (NNPC), has said that it would support ongoing initiative by the Federal Government to diversify the nation’s economy through agriculture by providing the much needed fulcrum for the attainment of a mutually beneficial relationship between agriculture and industries. Speaking at the NNPC Special Day in the ongoing 40th Kaduna International Trade Fair in Kaduna on Thursday, Group Managing Director of the corporation, Dr. Maikanti Baru, said as the national oil company, the NNPC would continue to provide the enablers for the actualization of Nigeria massive agricultural potentials in line with the aspirations of President Muhammadu Buhari for the sector. The NNPC GMD, in a presentation entitled: Consolidating the Interface between Industry and Agriculture for Nigeria’s Sustainable Development –the Role of NNPC, listed some of the achievements of the NNPC in this regard. These achievements, the GMD noted, included the provision of gas to power industries as captured in the 614km Ajaokuta-Abuja-Kaduna-Kano Pipeline (AKK) Project which process of award began in July 2017 and conceived as an integral part of the Trans Nigeria Gas Project. He said on completion, the AKK would deliver gas to Abuja, Kaduna and Kano Power Plants to power factories in the North and the National Grid. He added that in order to bridge the medium term domestic gas supply deficit by 2020, seven Critical Gas Development Projects (7CGDPs) had also been identified, saying that the desired outcome of this initiative would boost domestic gas supply from about 1.5bscf/d to 5bscf/d with a corresponding 500 per cent increase in power generation to buoy capacity utilization of industries. 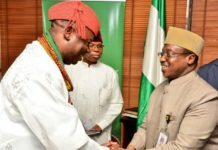 The NNPC GMD remarked that the 7CGDPs were at different stages of development with Assa North-Ohaji South (ANOH) project ahead of others. He stated that the Front End Engineering Design (FEED) for facilities and pipelines for ANOH had been completed with the Final Investment Decision (FID) for the project taken in December 2018. 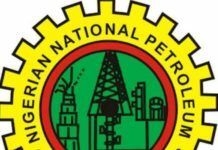 The NNPC helmsman said as supplier of last resort, the corporation would continue to ensure that the Nation is wet with white products to enable local business movements of goods and services. 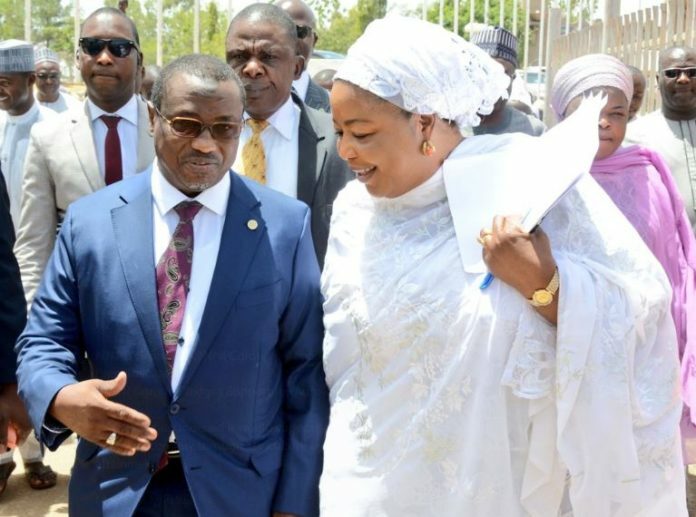 Dr. Baru explained that NNPC had executed Memoranda of Understanding for the development of fuel-ethanol processing plants with several State Governments in the Country, among which are Kogi, Yobe and Ondo. He said some of these projects were expected to yield cane mills and raw and refined sugar plants of various tonnages, even as some among them would generate sizable megawatts of power as well as starch and animal feeds. According to Dr. Baru, the execution of the projects would form part of the milestones of the Government in diversifying the economy and complement Nigeria’s effort to meet the Nation’s growing energy demand, in addition to providing meaningful engagement of farmers across the Country. Earlier in a welcome address, the President of the Kaduna Chamber of Commerce, Industry, Mines and Agriculture (KADCCIMA), Hajiya Muhibba Dan Kaka, said the theme of this year’s trade fair was deliberately chosen to complement the efforts of Government in promoting economic growth through commerce and industry. Recalling the glorious days of massive agricultural output with resounding impact on the Nigerian economy, the KADCCIMA President thanked the Federal Government and the NNPC for coming to the aid of the sector which has suffered decline in previous years due to obvious neglect. The KADCCIMAN President commended the NNPC GMD for his support through the years. “The fact that the GMD personally led the NNPC delegation both last year and this year clearly shows the prime position he accords the Kaduna International Trade Fair. We are highly grateful to him for this special honour’’ she said.